Are you making the most of your backyard? You may have turned your home into a stylish and comfortable place to live, but have you done the same for your garden? The interior of your house reflects your personal tastes and lifestyle, so why not make the most of your outdoor living space. Your outside environment should compliment your daily life in the same way your home does. Would you like somewhere pleasant to relax in the fresh air? Room for the children to play in the sunshine? Attractive outdoor surroundings in which to entertain? Perhaps a combination of all of these things. Whether you’re relaxing on your own, or socializing with friends, why not make it a unique aquatic experience. The centerpiece of your outdoor living space can be a luxury pool created to suit your way of life. 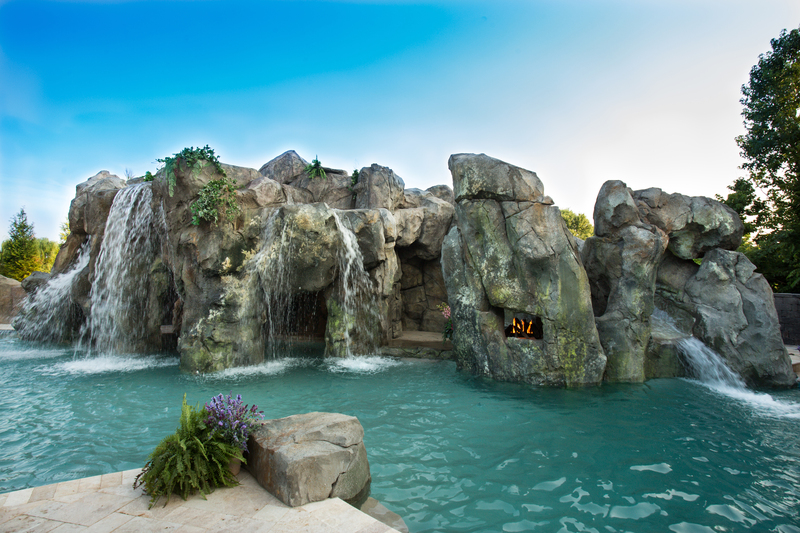 A custom designed pool can be constructed to fit any shape or size. Features of your garden, such as trees, curves and slopes can be integrated into the scheme. We work with your environment and lifestyle in mind. An ordinary yard can be turned into a fantastic personalized pool resort that will impress your friends and neighbors. Entertainment elements such as a swim-up bar or kitchen area can be incorporated into your bespoke pool design. And don’t forget the children. A shallow spot for younger children to play or even a specially made activity pool can be included in the build. As for relaxation, soft lighting and automated climate control make whirlpools and jacuzzis an unadulterated luxury. As well as an outdoor space that’s great for socializing with friends, it should also be a place that can be enjoyed privately with close family, or on your own. For those special solitary moments, a soothing waterfall or aquatic garden can be created to give you a personal sanctuary. A steady flow of water adds tranquility and serenity to provide a natural environment where you can escape the pressures of the world. A soothing spa set amongst lush green plants is a wonderfully indulgent pleasure to be enjoyed on your own or with guests. Boulders, sands, and sloping shorelines can all be integrated into your plan to give a natural, real-world feel. An ordinary backyard can be transformed into a one-of-a-kind setting designed for entertainment and recreation as well as unwinding and escaping. Your aquatic experience can be one that brings laughter and excitement when enjoyed in public, and a sense of peace and calm when savored in private. With many people now choosing to spend their vacations at home, rather than travel, it’s worth investing in something extra special. Make your backyard the perfect holiday destination. At Shehan Luxury Pools, we devise and build to your style and specifications. As leaders in custom pool design and construction we know how to work with clients to achieve their ideal vision. Why not make your outdoor space as functional, fun and stylish as the inside of your home. To find out how we can transform your space with a truly magnificent water feature, get in touch with us today.